By Wyatt W. Decker, M.D. It’s a milestone that’s been two years in the making. After breaking ground on our upcoming Mayo Clinic Cancer Center in December of 2011, we are getting ready to welcome the arrival of the first wave of proton beam equipment, due to be installed starting in early March. 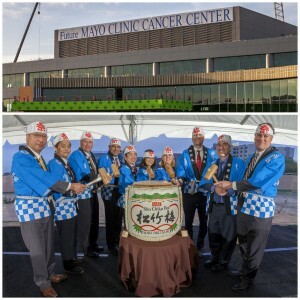 To commemorate this great occasion, we held a special event at our Phoenix campus where many of our radiation oncology staff, benefactors and a large contingent from Hitachi (the manufacturers of the proton beam therapy equipment) converged for a special celebration. 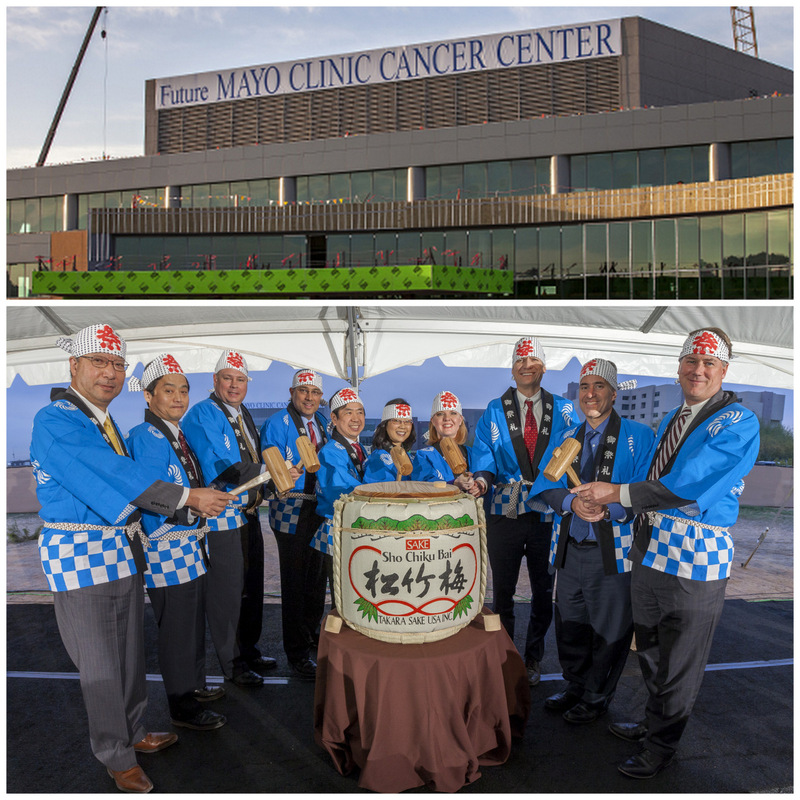 You can say the Far East met the Southwest as I, along with members of Mayo’s Cancer Center, Hitachi leadership and legislators Rep. Heather Carter and Phoenix City Councilman Jim Waring, donned blue ceremonial kimonos and wielded hammers, as part of a Japanese ceremony called “Kagami Wari.” The ceremony, where we broke a cask of sake to a resounding cheer of Kampai (which means cheers), was meant to bless the new equipment and facility with good wishes of health and prosperity. Mayo’s proton beam therapy facility, which will occupy the lower level of the new Cancer Center, will be the first of its kind in Arizona and the Southwest. Patients will soon benefit from the technology’s precision, where protons will destroy tumors, while sparing healthy, surrounding tissues and organs. 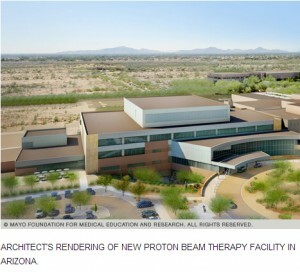 The Cancer Center is expected to open in phases beginning next year, followed by the debut of the proton beam therapy program in 2016. Be sure to follow my future posts for updates on the building’s progress. Editor's note: Wyatt W. Decker, M.D., is a vice-president of Mayo Clinic.